Diane Teitelbaum & Associates, Wine Solutions Education, Dallas, TX. Diane Teitelbaum has 28 years in the wine business as a consultant to hotels, restaurants and collectors; a wine educator for schools and the hospitality industry; an appraiser and a wine writer. She spent 2 years as wine consultant to American Airlines regarding wine selection, education, etc. She is an international level professional wine judge and writes about wine for newspapers, magazines and online. 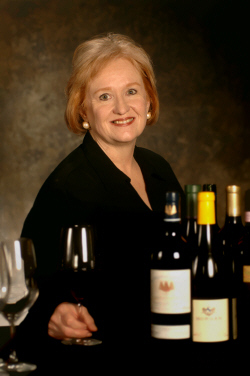 She has been a contributor twice to Jancis Robinson’s The Oxford Companion to Wine. Her hope is to eliminate wine snobbery and share the joy of wine with everyone.